Animal Soul Wisdom Radio: Tapping into the Wisdom of Our Animals, Angels and Masters with Darcy Pariso : Animals: The Big Question! What would you like most to know about your relationship with your dog, cat, horse or other companion - what is it about your relationship that is meaningful to them? Are you listening to what they are saying to you? Get answers to these as well as other commonly asked questions such as: changing a behavior, how to promote a healthy aura, what are safe natural approaches to help with itching, obsessive licking and more. 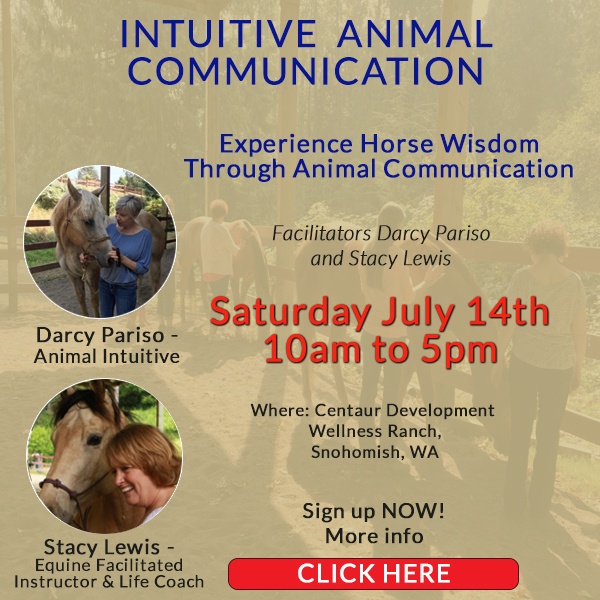 SIGN UP FOR DARCY'S WORKSHOP ON JULY 14TH!